Discussion in 'General Discussion' started by SpicyPenguin, Jun 3, 2016. Interested in getting your hands on a Primal Key? Hello, everyone! Since you've checked this post out, I assume that you're interested in getting a Primal Key. It's very simple on how you can get one. Just like the title of thread says, you'll have to be a top voter! Help us get more people, develop our community, and strengthen our numbers. Voting is a good way of gaining a decent amount of money when you're starting out and it also gives you a chance of getting other items that would help your in your Pixelmon Journey and now we're giving you guys something that'll keep you guys from voting. A Primal Key is the best donation key that you can get and gives the best rewards (Ranks from (Ace - Primal), Shiny Legendaries, a Miner's License, or 5 Legendary Keys). Start voting and we'll be sure to contact our top voters for each month and see that they're rewarded for helping us making a bigger family. 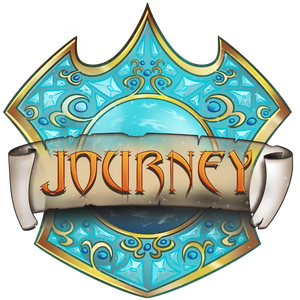 Note: We will be giving a Primal Key to the top voter for EACH SERVER. 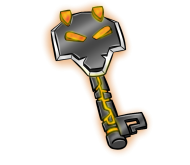 (If you become a top voter, the primal key will be given to you in the server where you play the most.) and only 1 Primal Key will be given for each server. Thank you for checking out this post and thank you for voting! @SpicyPenguin will there be an announcement of who the top voter of each server is? Or will the top voter just be contacted privately? Would be nice if you made a top 10 voters list at the end of a month with their server origin. The top voter is broadcasted on Johto and then contacted privately but we don't usually list all top 10 voters, i'm not sure on the different servers though. That's a great idea. Thank you! Ahh okay, thanks for the response. Cheers. Will be voting all the time... Thanks for letting us know! Since the update, the voting rewards are very different, on Hoenn at least. I haven't been on the server myself, but I was told that when you vote, you get a random item (all varieties of Poké Balls, held items etc.) instead of money every time; if that's changed this might have done too. Confirmation that it has/hasn't, staff? I was asking if the Primal key for top voters is different. probably not ~ apparently one voter from each server gets it now instead of one period...idk if that period thing was ever the case though ~ my only inquery (also why i don't even try to vote every day on the daily, this and the fact that some people get a vote more than there is days in the month) , what happens when two people from the same server tie for vote count? Well, first of this thread is quite old and i no longer am staff around pixelmon, i do however believe that the process is something like this.